MP3 streaming version of Hoodlum Priest (6:05) or Downloadable version. for a Full-size publicity photo of the composer (right-click and save as... to download). 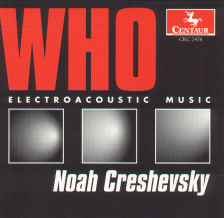 Trained in composition by Nadia Boulanger in Paris and Luciano Berio at Juilliard, Noah Creshevsky is the former director of the Center for Computer Music and Professor Emeritus at Brooklyn College of the City University of New York. His musical vocabulary consists largely of familiar bits of words, songs, and instrumental music which are edited but rarely subjected to electronic processing. The result is a music that obscures the boundaries of real and imaginary ensembles though the fusion of opposites: music and noise, comprehensible and incomprehensible vocal sources, human and superhuman vocal and instrumental capacities. Hyperrealism is an electroacoustic musical language constructed from sounds that are found in our shared environment ("realism"), handled in ways that are somehow exaggerated or excessive ("hyper"). Hyperrealistic music exists in two basic genres. The first uses the sounds of traditional instruments that are pushed beyond the capacities of human performers in order to create superperformers--hypothetical virtuosos who transcend the limitations of individual performance capabilities. 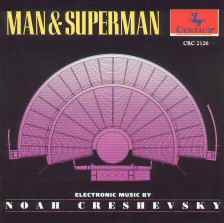 These are the "supermen" who appeared in a number of my compositions, beginning with Circuit (1971) for harpsichord on tape. The compact disc Man & Superman (Centaur CRC 2126) was largely connected to my interest in the ambiguous borders between live performers and their impossibly expanded electronic counterparts. The idea of superperformers has numerous precursors, including the violin music of Paganini, the piano music of Liszt, conventional music for player piano, and the fully realized player-piano music of Conlon Nancarrow. Fundamental to the second genre of hyperrealism is the expansion of the sound palettes from which music is made. Developments in technology and transformations in social and eco-nomic realities have made it possible for composers to incorporate the sounds of the entire world into their music. Hyperrealism of this second genre aims to integrate vast and diverse sonic elements to produce an expressive and versatile musical language. Its vocabulary is an inclusive, limitless sonic compendium, free of ethnic and national particularity. Essential to the concept of hyperrealism is that its sounds are generally of natural origin, and that they remain sufficiently unprocessed so that their origin is perceived by the listener as being "natural." Since the sounds of our environment vary from year to year, generation to generation, and culture to culture, it is impossible to isolate a definitive encyclopedia of "natural" sounds, but there are a great many sounds that are familiar to nearly all of us. These are the most basic building blocks in the formation of a shared (if temporary) collective sonic reality. The development and incorporation of expanded palettes consisting of natural sounds also has precursors, most notably the work of Pierre Schaeffer, Pierre Henri, and the overall tradition of musique concrete. Hyperrealism celebrates bounty, either by the extravagant treatment of limited sound palettes or by assembling and manipulating substantially extended palettes. Of my compositions, Coup d’etat, Gone Now, Who, Ossi di morte, et puis, and Novella (among others) share aspects of a particular style. I call that style "hyperdrama." In addition to other qualities, hyperdrama is character-ized by a steady level of heightened sensations. Hyperdramas attempt to consolidate and compress intensified states. Hyperrealism is a language because various composers, using identical sounds (i.e., parts of speech) can produce significantly different kinds of compositions, based on their tastes, intentions, and technical resources. Hyperdrama is a musical style in which hyperrealistically extended palettes and/or restricted palettes in conjunction with superhuman performance capabilities express a larger-than-life level of emotional intensity. 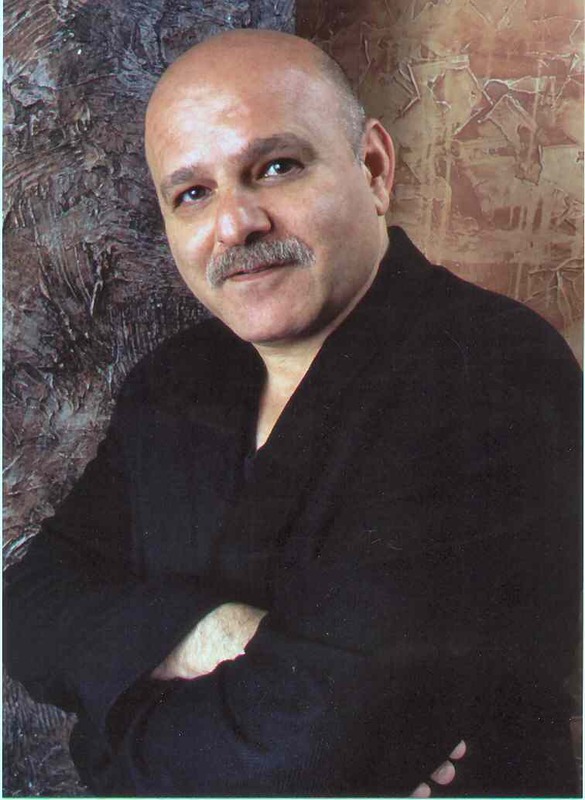 "Creshevsky is as much a virtuoso of the sampler as anyone working in the field. But instead of using it for mere technical effects, he turns it into a tool of the imagination, creating impossible ensembles from some parallel universe. In place of notes, Creshevsky uses sampled gestures, noises, and radio snippets as his textural atoms, playing dodecaphonist with bits of our lives. His sampler is a means toward not only superhuman virtuosity, but a new universality." "...constantly mutating and surprising, and somehow, the recurrent recombinations of tonal material start to make their own musical sense, as though they were defining a new ‘common practice’ from an alternative dimension...the work of an American original whose mastery of his vision is absolute."